The District is paying 305 students with poor academic and behavioral records to attend summer school, The Washington Examiner has learned. The rising ninth-graders are earning $5.25 an hour to participate in the “Summer Bridge” program, which targets students identified by D.C. Public Schools as less likely than their peers to graduate high school within four years. The 95 students who voluntarily signed up for the summer school program will receive half of an elective credit. But to fill the 400-student session with at-risk students, DCPS reached out to the Department of Employment Services. More than 300 students flagged by DCPS and who had signed up for the Summer Youth Employment Program were told that school would be their jobs this summer. D.C. Public Schools is turning its attention toward not just graduating high-school students, but graduating them on time. Only 53 percent of DCPS students graduate high school within four years. In addition to the Summer Bridge program, DCPS introduced a program this summer for English-language learners who failed English their freshman year of high school. Instead of retaking English 1 and graduating in five years, these rising sophomores are taking the course over the summer so they can stay on track. Melissa Salmanowitz, a spokeswoman for Chancellor Kaya Henderson, said DCPS officials are going to study this year’s results, with the intention of expanding the program next summer. At-large Councilman Michael A. Brown, chairman of the committee that oversaw the summer jobs program until June, said there has been some pushback from residents who question whether paying students one summer leads them to expect rewards for showing up during the school year. This summer isn’t the first time the city has paid students to learn. The District allowed a Harvard University group to pay about 3,000 middle-school students up to $100 a month for good grades during the 2008-09 and 2009-10 school years. Grades overall didn’t improve significantly. “What would a rising ninth grader do at an internship? Probably mundane tasks, so maybe sitting in a classroom has potential for higher returns,” Amundson said. Handing paychecks to students for learning could, however, be a “slippery slope,” said local political consultant Chuck Thies. 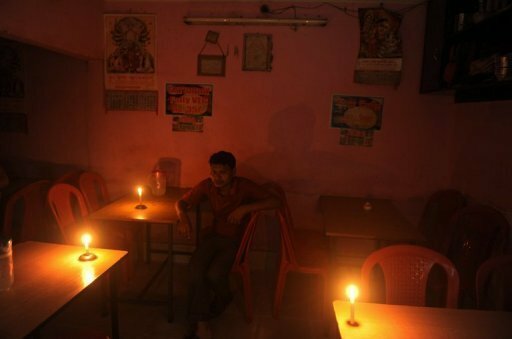 Stretching from Assam, near China, to the Himalayas and the northwestern deserts of Rajasthan, the outage covered states where half of Indias 1.2 billion people live and embarrassed the government, which has failed to build up enough power capacity to meet soaring demand. “Even before we could figure out the reason for yesterdays failure, we had more grid failures today,” said R. N. Nayak, chairman of the state-run Power Grid Corporation. Prime Minister Manmohan Singh had vowed to fast-track stalled power and infrastructure projects as well as introduce free market reforms aimed at reviving Indias flagging economy. But he has drawn fire for dragging his feet. The cuts in such a widespread area of the world’s second most populous nation appeared to be one of the biggest in history, and hurt Indians pride as the country seeks to emerge as a major force on the international stage. “Its certainly shameful. Power is a very basic amenity and situations like these should not occur,” said Unnayan Amitabh, 19, an intern with HSBC bank in New Delhi, before giving up on the underground train system and flagging down an auto-rickshaw to get home. The aggregating Web site RottenTomatoes.com suspended user comments on movie reviews of “The Dark Knight Rises” after commenters reacted harshly to negative reviews of the film and made profane and threatening remarks about the critics who wrote them. Matt Atchity, the site’s editor-in-chief, said Tuesday it was the first time RottenTomatoes.com has suspended user comments, adding postings about “Dark Knight” reviews would likely be restored by the end of the week. The final film in director Christopher Nolan’s Batman trilogy opens Friday. Rotten Tomatoes suspends comments on ‘Dark Knight’ after threats to critics.